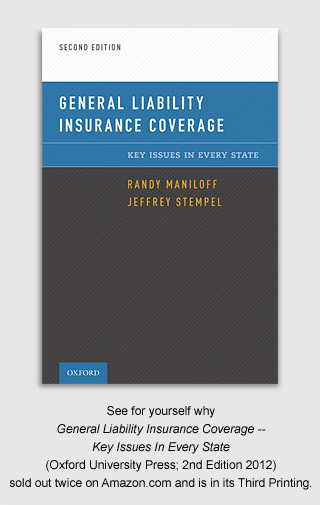 (Oxford University Press; 2nd Edition 2012) is a 664 page desk reference book that Randy Maniloff and Professor Jeffrey Stempel of UNLV Law School wrote that quickly and conveniently provides the law in every state for 21 important general liability coverage issues. 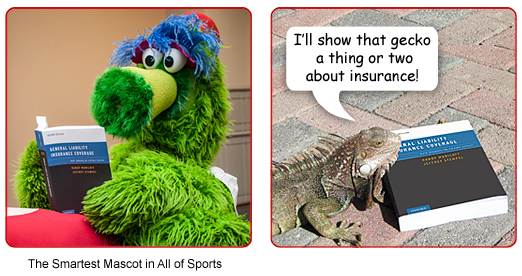 [And many of the issues are also relevant to professional liability policies.] Unlike many “50 state surveys,” “Key Issues” provides real substance and not one-line answers or meaningless string cites.